Greg created an oil painting for Durango Fiesta Days to commemorate its 75th Anniversary. 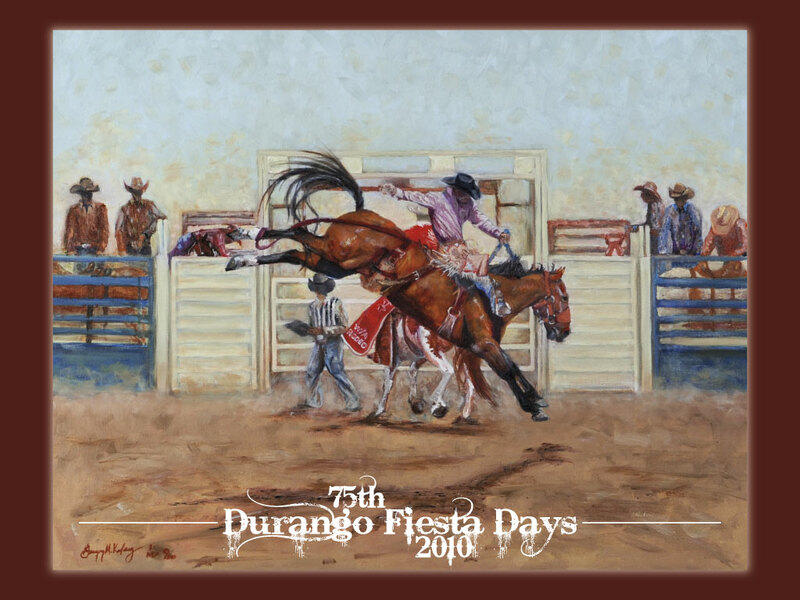 Poster prints are for sale through Durango Fiesta Days website and rodeo committee. You can contact us for further information.